The future of Nottingham digital healthcare by Connected Nottinghamshire. 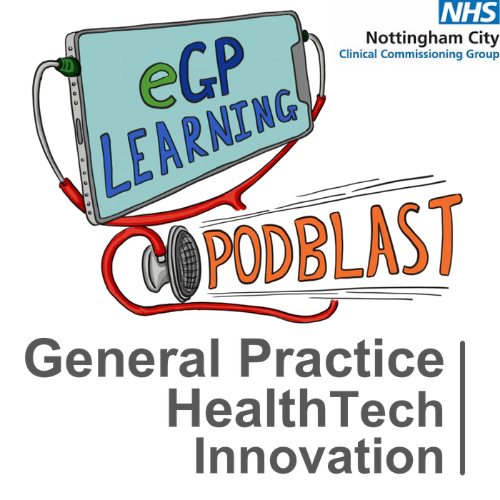 This episode if a live podcast recording at the Nottingham CCG #NottsGPNelearning practice learning event covering the future of Nottingham’s digital healthcare. Hear Andy Evans of Connected Nottinghamshire (@connectednotts) talk about the development of the Nottingham Digital journey for patients and how healthcare is developing in Nottingham. This engaging talk will explain why patients may use digital access and the potential benefits the future of healthcare may offer in the next year.